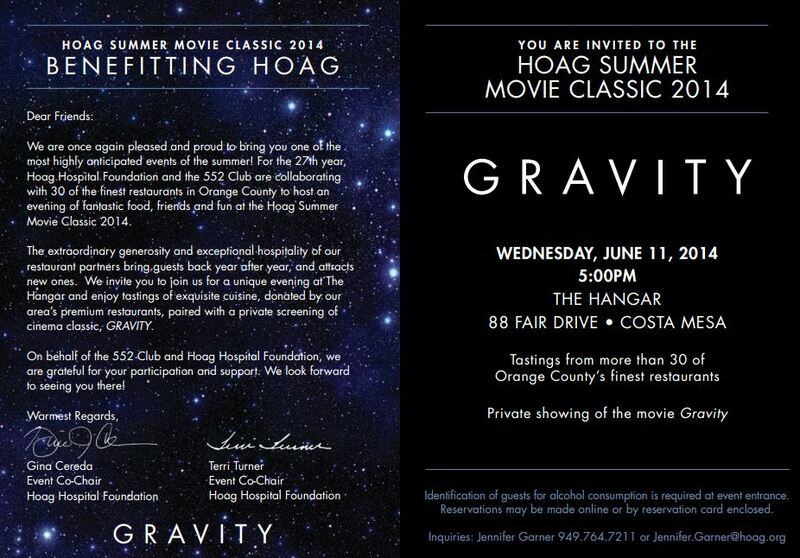 This year Hoag’s 27th Annual Summer Movie Classic features the film Gravity and there will be over 30 of O.C.’s finest restaurants!! 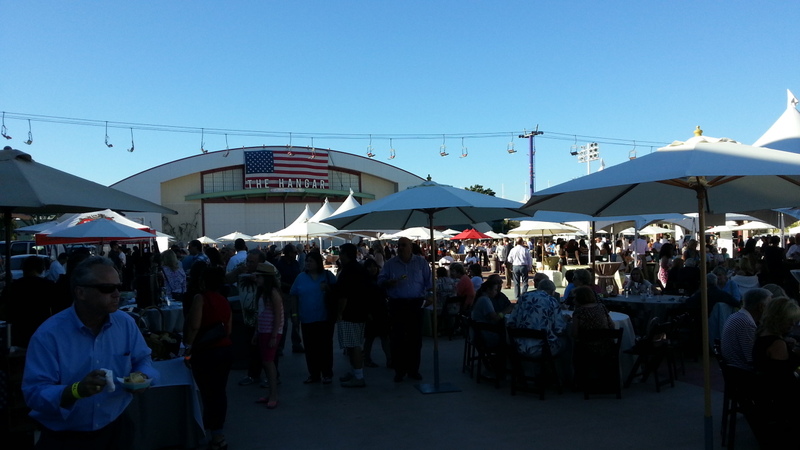 The Hoag Summer Movie Classic will be celebrating its 27th year and will take place at The Hangar in Costa Mesa at the Orange County Fairgrounds, 88 Fair Drive. 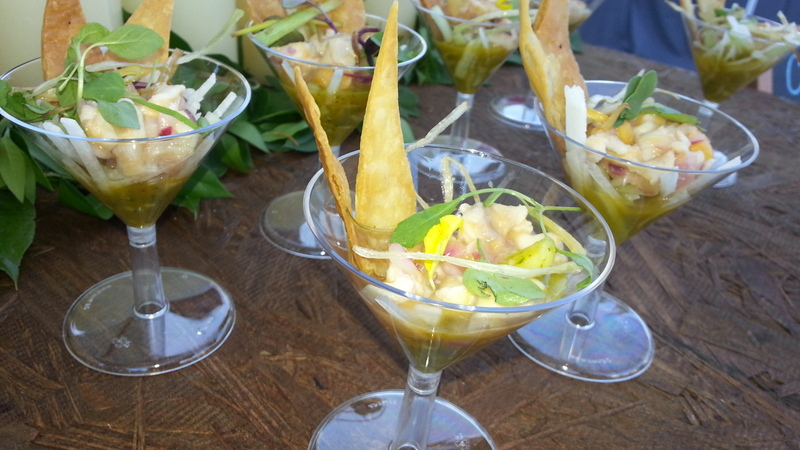 Every year this event is hosted by the Hoag Hospital Foundation and its 552 Club which includes volunteers and donors that are dedicated to promoting Hoag Hospital financially. This organization has raised more than $40 million for Hoag Hospital since 1966!! This awesome charity event will be held on Wednesday, June 11, 2014, at 5 p.m. 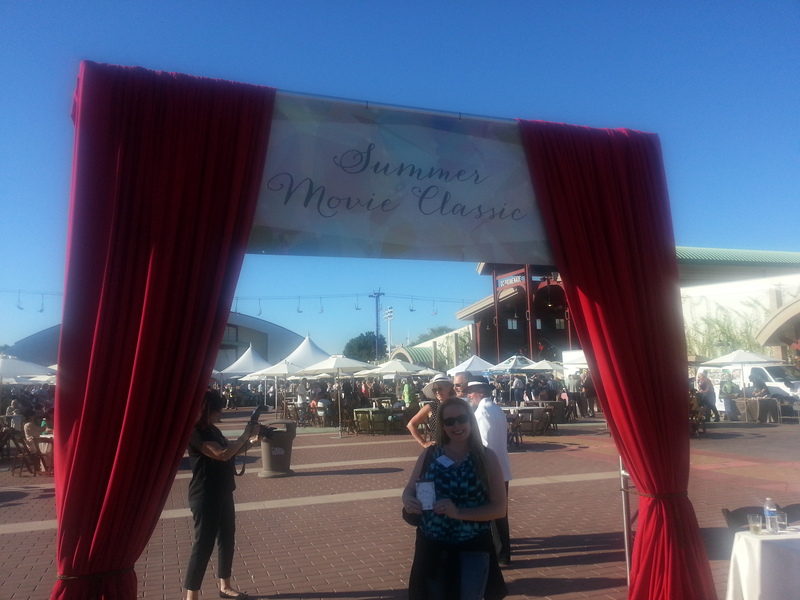 The Summer Movie Classic will present culinary masterpieces from a variety of over 30 of Orange County’s finest restaurants which include: A Restaurant, Red O, Sol Cocina, Pitfire Artisan Pizza (MY REVIEW), Antonello Ristorante & Enoteca Lounge (MY REVIEW), Nello Cucina, Quattro Caffé, Bear Flag Fish Co., Blackmarket Bakery, Boudin Bakery, Café 538, Caliente, The Counter, DP Catering, Orange Coast Winery, Blue Water Grill, Ho Sum Bistro, Kéan Coffee, Newport Landing, Harborside, Picante Martin’s, Royal Thai Cuisine, Muldoon’s Irish Pub, Maggiano’s Little Italy, Roy’s Hawaiian Fusion Cuisine, Santa Monica Seafood, Straub Distributing, Turnip Rose, 24 Carrots, Gabbi’s Mexican Kitchen, Newport Rib Company, and more! I support this kind of event specially it has a great cause of volunteers and donors that supports Hoag Hospital. The dishes are so delicious. Looks like a lot of fun! I love that this is for a good cause and that the whole community gets involved. 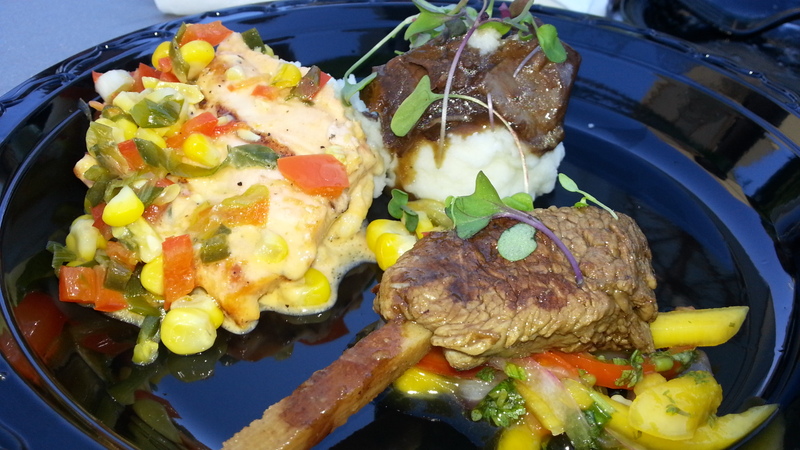 It’s also great that there is a movie provided and great food from local restaurants. Would love to be able to go! This sounds like an awesome event and I hope it is wildly successful this year! Thanks Laurel! I appreciate your support! It was a great success last year and I am sure it will also be just as fabulous this year! I look forward to trying some of the new restaurants that were not there last year. Looks like it will be extremely successful for a great cause too. I love supporting charity causes:) Thanks for the comment! What a fun way to celebrate! Wish I could be there. Sounds like it’s going to be a great time for a great cause! I would love to try this kind of event on my place. restaurant and movie would be fun.